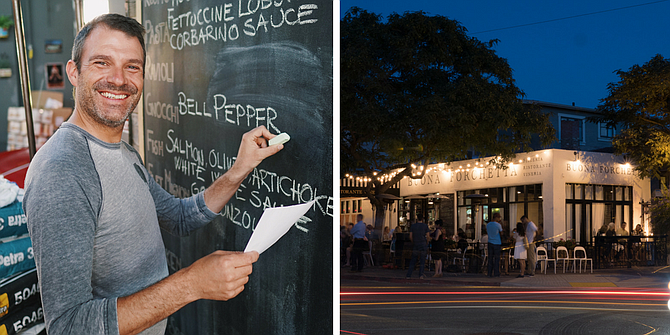 New Restaurant To Donate Profits to San Diego Schools | Tony Franco Realty, Inc. The owner of Buona Forchetta restaurants in South Park and Liberty Station plans to open a second South Park restaurant that will operate as a nonprofit with proceeds going to San Diego schools. Matteo Cattaneo said he has leased space for the new restaurant at 3015 Juniper St. that was formally Rebecca’s Coffee House. Earnings from the restaurant will go to buy supplies and support arts programs and extracurricular activities at several nearby schools, including Mckinley Elementary School, Albert Einstein Charter Academy, and Golden Hill Elementary School.